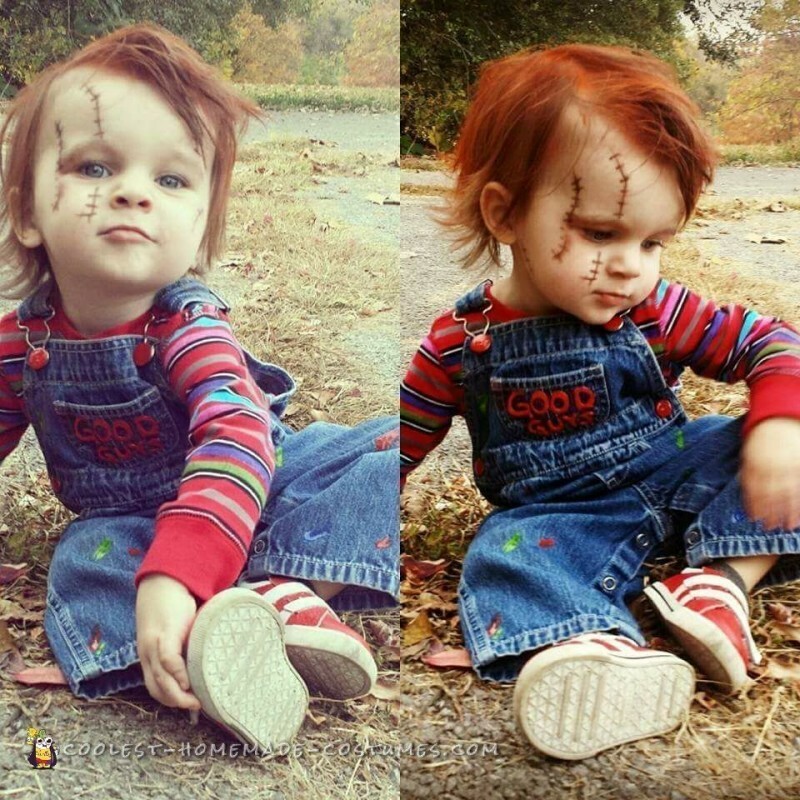 This is the toddler Chucky costume I made for my son in 2015. But I never got to enter him in any contests with it. 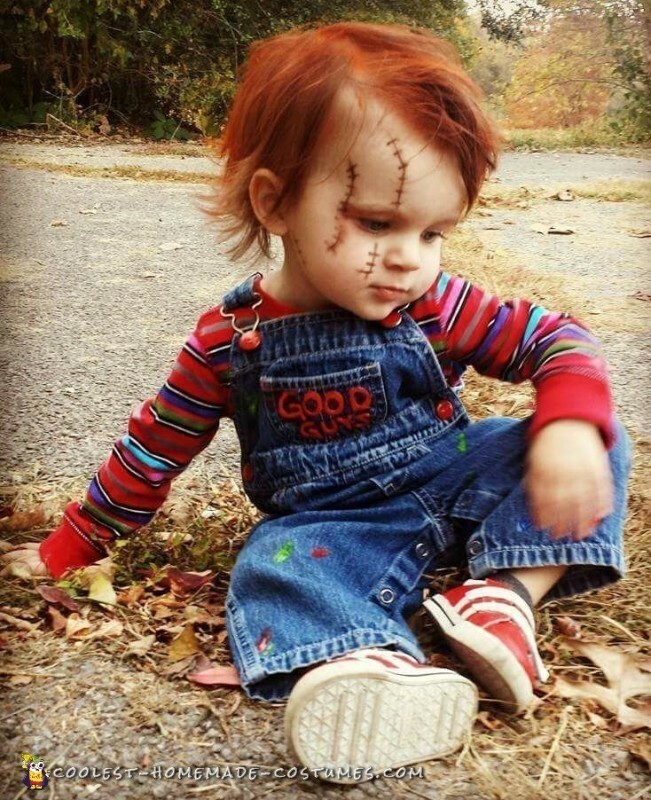 He was Chucky because it is my all time favorite movie. I made the costume myself, I bought a red and white striped shirt and used colored fabric markers to color it rainbow. Then, I painted a pair of shoes like the Chucky ones, and I used puff paint to color on the overalls. In addition, I sprayed his hair red and drew on the stitches on his face. He played his part so well. Everyone loved his photo and it went viral all over the internet. 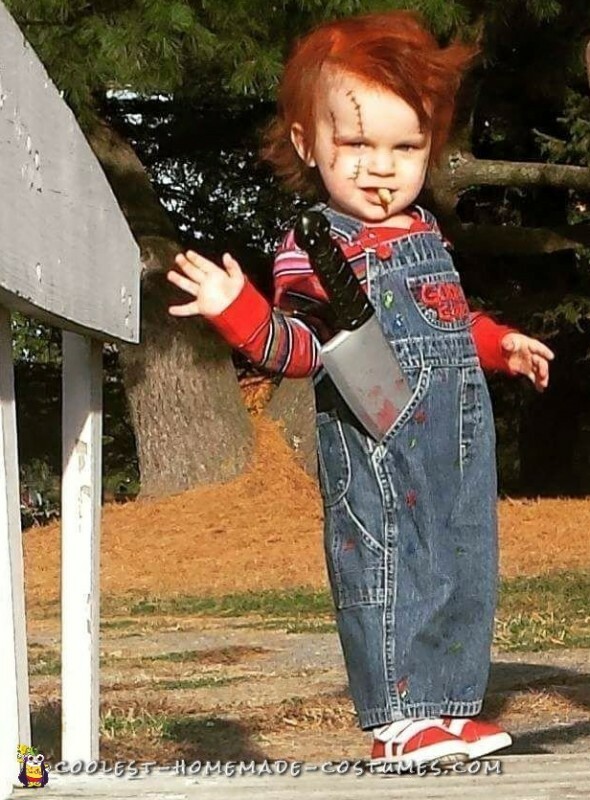 Now if you search toddler Chucky, his photo is on there. 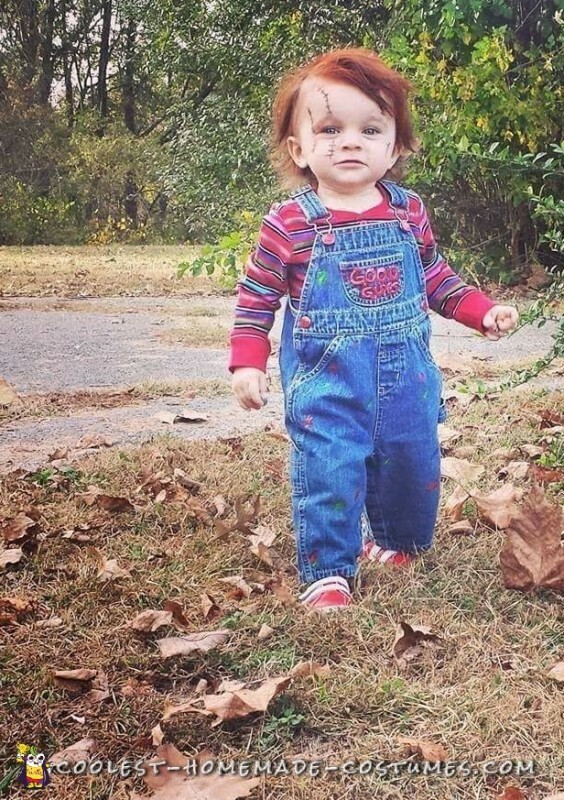 I have people telling me that my baby as Chucky has inspired them to make and dress their children up in a homemade costume.